Speed density conversion harness for 1G talons and Eclipse. 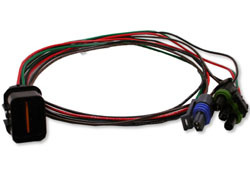 Plug into MAF connector and plug in MAP and Temp sensors. Want this item shipped out tomorrow, April 22? Order within the next 31 hrs 2 mins.